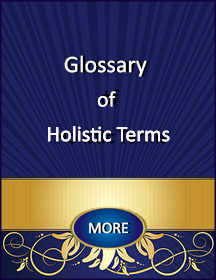 This Glossary of Holistic Terms was created to add clarity to some of the terms used in our world today. These definitions were derived from interpretations by Robin Duncan, quotes and principles from A Course in Miracles, along with some basic definitions from Wikipedia and Internet Research, and are not intended to be all-inclusive. Many of the terms are not easily defined by words, as words are too limiting to describe the true nature of their meaning. The best definitions are those gained and defined by you through your direct and personal experience. It is our contention that all healing is of the mind and any modality or practice that helps to quiet and calm the mind (so you can turn inward for listening to Higher Guidance) is helpful in the awakening process. Every answer is within you where the Source of God-Intelligence, Wisdom, Strength, and Power resides. A Course in Miracles (“ACIM”) is a spiritually-based self-study curriculum that offers practical ways for people to move from a thought-system based on fear to a thought-system based on love. The book includes three major categories of curriculum; a Text, a 365-Day Workbook for Students, and a Teachers Manual. In addition to these more widely-known categories in A Course in Miracles, there are supplemental sections including: Clarification of Terms, Psychotherapy, and The Song of Prayer. A Course in Miracles is a collection of information scribed by Helen Schucman, a Professor of Medical Psychology at Columbia University in the mid-1970’s. Helen stated that the information came to her every evening for a period of 7 years and she simply wrote down the information she heard through inner dictation. At the time, she did not understand much of the information she was recording. Upon completion of the work, it was found that the spiritually-based materials were highly significant in nature and served to provide a foundational structure for helping people to release fear and judgment, and reclaim their natural state of being and oneness with God. When Helen asked who was offering her the information she was recording in shorthand, the “Voice” identified Himself as the Elder Brother, Jesus. People from all walks of life and in various spiritual and religious paths have found the information to be highly useful and key in answering the age-old questions that have plagued humanity for thousands of years. The principles shared in the Course offer insight and highly effective ways to transform challenges in all areas of life, such as: health, relationship, money, emotional and physical well-being. The curriculum provides clear guidance on how to achieve a consistent state of happiness, health, abundance, and well-being. Millions of copies have been sold and distributed around the world and have been translated into most major languages. The language used in “the Course” is communicated based on the most prevalent language used at the time it was recorded. For instance, God is referred to as “He” and the Child of God is referred to as “His Son”. This was not intended to reflect gender. It was used only to provide language that was most familiar to those seeking Truth at the time. If you study the Course, it is suggested that you place greater emphasis on the message it shares and less emphasis on the gender references, so you will not limit your pursuit of Truth. People from all walks of faith have benefitted from their study and practice of A Course in Miracles. Awakening or “to awaken” is a spiritual reference that means to awaken to the full realization of your Whole Self; in oneness with God. This is your natural state of being and is accomplished through your willingness to forgive and release all illusions, judgments, and grievances against yourself and others, and by consciously inviting the memory of this Divine connection to return to your mind. Once you remember and recognize this Higher part of yourself, you can then follow the infinite and loving guidance that is inherent and available in that relationship. As you do this, you will experience amazing results and will become so confident in your connection, that you will follow and rely on your inner guidance or “inner compass” rather than those whom you would consider as experts in their field. Additionally, you will no longer be in fear of any kind and you will experience a consistent level of ever-increasing peace, regardless of your external circumstances. The conscious mind is the place of short-term memory, analytical thinking, reasoning and judgment. You might think of the mind as comprised of 3 parts: the conscious mind, subconscious mind and super-conscious mind. In our classes, we refer to the conscious mind as “the guard dog at the fenceTM”. It is the part of the mind that is committed to holding onto limiting thoughts, fears and judgments learned in the past. It is also the part of the mind that is resistant to change. On a spiritual level, the conscious mind interferes with the guidance and constant communication received from the super-conscious part of the mind. The super-conscious is that part of the mind that some call Divine intelligence, God-wisdom or supreme knowledge, without the added emotions of fear and judgment. Every individual has access to this wise, super-conscious part of the mind, which is accomplished through the practice of quieting the mind, meditation, hypnosis, guided imagery and other techniques to tune in and listen to It’s influence. “Death is the central dream from which all illusions stem. Is it not madness to think of life as being born, aging, losing vitality, and dying in the end? We have asked this question before, but now we need to consider it more carefully. It is the one fixed, unchangeable belief of the world that all things in it are born only to die. This is regarded as “the way of nature,” not to be raised to question, but to be accepted as the “natural” law of life. The cyclical, the changing and unsure; the undependable and the unsteady, waxing and waning in a certain way upon a certain path, all this is taken as the Will of God. And no one asks if a benign Creator could will this. EFT (Emotional Freedom Techniques), commonly known as “tapping”, is a form of psychological acupressure, using the same energy meridians as in traditional acupuncture to treat physical and emotional ailments without the invasiveness of needles. By tapping with the fingertips on certain energy meridian points, while you “tune in” to your specific problem and repeat customized affirmations, you experience emotional and physical relief, if not total elimination of the discomfort. EFT, formerly known as Meridian Tapping, has its origin in ancient Chinese medicine. There have been many contributors that have helped to shape EFT into the powerful and effective tool that it is today. During the 1980’s, Dr. Roger Calahan combined tapping with focus on emotional problems, and called this combination “TFT or Thought Field Therapy”. During the 1990’s, Gary Craig helped to bring this powerful modality to the world, and renamed it as “EFT or Emotional Freedom Techniques”. During the 2000’s, Dr. Pat Carrington added the “Choices Method” to EFT, helping to refine the process by adding customized positive affirmations for higher results. In 2002, Robin Duncan added the “Source TechniqueTM” to the EFT Tapping Sequence. EFT with the Source TechniqueTM is a combination of deliberate spiritually-based methods to enable you to quickly identify the “source or root cause” of a problem, and then substantially reduce the negative charge of the discomfort with EFT. The Miracle Center of California is the only global training facility that offers training and certification in the Source TechniqueTM. Our Certified Practitioners learn how to combine the Source TechniqueTM with EFT before, during, and after Hypnosis. CEU’s are available. For more information on Professional Training and Certification for Practitioners, and translation opportunities and authorization for use in other countries, go to MiracleCenterStore.com. This is not a complete list of contributors to EFT, as it is known today. EFT has been blessed by many contributors along the way. The ego represents the crazy mad idea that you could be separate from God. It is not a force to be battled. It is an idea to be recognized as false. Here are a few statements about the ego from A Course in Miracles: The ego is the mind’s belief that it is completely on its own. The ego is in your mind, because you have accepted it there, and its evaluation of you, is the exact opposite of the Holy Spirit’s, because the ego does not love you. It is unaware of what you are, and wholly mistrustful of everything it perceives because its perceptions are so shifting. The ego is therefore capable of suspiciousness at best and viciousness at worst. That is its range. You, then, have two conflicting evaluations of yourself in your mind, and they cannot both be true. The ego is, therefore, particularly likely to attack you when you react lovingly, because it has evaluated you as unloving and you are going against its judgment. The ego is immobilized in the presence of God’s grandeur, because His grandeur establishes your freedom. Even the faintest hint of your reality literally drives the ego from your mind. The ego depends solely on your willingness to tolerate it, and it will attack your motives as soon as they become clearly out of accord with its perception of you. This is when it will shift abruptly from suspiciousness to viciousness, since its uncertainty is increased. It cannot exceed it because of its uncertainty. And it can never go beyond it because it can never be certain. You cannot evaluate an insane belief system from within it. Its range precludes this. You can only go beyond it, look back from a point where sanity exists and see the contrast. Only by this contrast can insanity be judged as insane. The ego’s goal is autonomy and separation. It is totally confused about reality, but it does not lose sight of its goal. It is much more vigilant than you are, because it is perfectly certain of its purpose. You are confused because you do not recognize yours. The ego may see some good, but never only good. That is why its perceptions are so variable. It does not reject goodness entirely, for that you could not accept. But it always adds something that is not real to the real, thus confusing illusion and reality. Energy balancing is a system of realigning, re-attuning, and balancing the body’s electro-magnetic energy field. Similar to electrical energy that flows through the power lines to your home, the body’s energy flows through pathways in, around, and through the body. Energy Medicine is based on the fundamental premise that all physical objects (bodies) and psychological processes (thoughts, emotions, beliefs and attitudes) are expressions of energy; therefore, all bodies are believed to be infused with a subtle energy or life force. This life force is known by a variety of terms corresponding to different traditions. Energy medicine proposes that imbalances in the body’s “energy field” result in illness, and that by re-balancing the body’s energy-field health can be restored. Enlightenment means “full comprehension of a situation or deep insight into the meaning and purpose of all things”. It literally means to awaken or to understand. Someone who is awakened has gained insight into the workings of the mind (which keeps us imprisoned) and leads to liberation of oneself. Enlightenment is attained when all limitations have been removed from the mind and one’s positive potential has been completely and perfectly realized. It is a state characterized by infinite compassion, vision, wisdom and trust. Enlightened Leadership is the highest form of leadership, as it stems from the knowledge that all power is within and that there is a divine and harmonious solution to every situation. Further, it is understood that everything and everyone we see and experience is a projection or “effect” of our past thoughts. As such, the need to judge, blame or accuse is not useful or necessary. To be an Enlightened Leader involves the management team listening for Higher wisdom and guidance at all times and making decisions based on that influence, regardless of external circumstances; as if driven by an internal compass. It is the acceptance that all thoughts are creative and everything you see is presented to you in accordance with your past thoughts and beliefs. The practice of Enlightened LeadershipTM results in a state of being invulnerable to external influences, such as: the economy, the value of the dollar, supply and demand, etc. The Enlightened Leader understands that he/she is not here to change the world, as everything we see (outside us) is the effect of our thoughts and beliefs. They realize instead, that as their perceptions are healed, the result is that the world is healed. Leading from a sustained place of wisdom and listening, without judgment, offers the greatest opportunity for alignment with Divine Wisdom; thereby leading to the highest and greatest outcome for all. Enlightened LeadershipTM is Global Training Program designed especially for Executives and their employees by The Miracle Center of California. Guided imagery is a process of guiding an individual or group through a process of creative visualization using the 6 senses to detail and vivify the experience. This helps to promote a desired physical, emotional or psychological outcome. Guided imagery is sometimes compared to focused daydreaming. Some guided imagery exercises lead you to imagine relaxing scenes that promote tranquility and stress reduction. Other guided imagery exercises stimulate complex images of your desired response or outcome, such as overcoming a disease, losing weight, quitting smoking, removing blocks to prosperity, bringing healing to relationships or feeling pain-free. A facilitator’s voice can lead the guided imagery exercise or you may build the image yourself. Many athletes, actors and presenters use this technique to visualize perfect execution prior to performing. Guided imagery is based on the concept that your body and mind are connected. Using all of your senses, your body seems to respond as though what you are imagining is real. An example often used is to imagine an orange or a lemon in great detail – the smell, the color and the texture of the peel. Continue to imagine the smell of the lemon and then see yourself taking a bite of the lemon and feel the juice squirting into your mouth. Many people salivate when they do this. This exercise demonstrates how your body can respond to what you are imagining. To become certified in Guided Imagery (with CEUs) and learn how to write customized guided imagery scripts and learn how to deliver a script spontaneously, see below. Guided meditation is when one person actively guides another into a state of relaxation and meditation through the use of visualization and guided imagery. 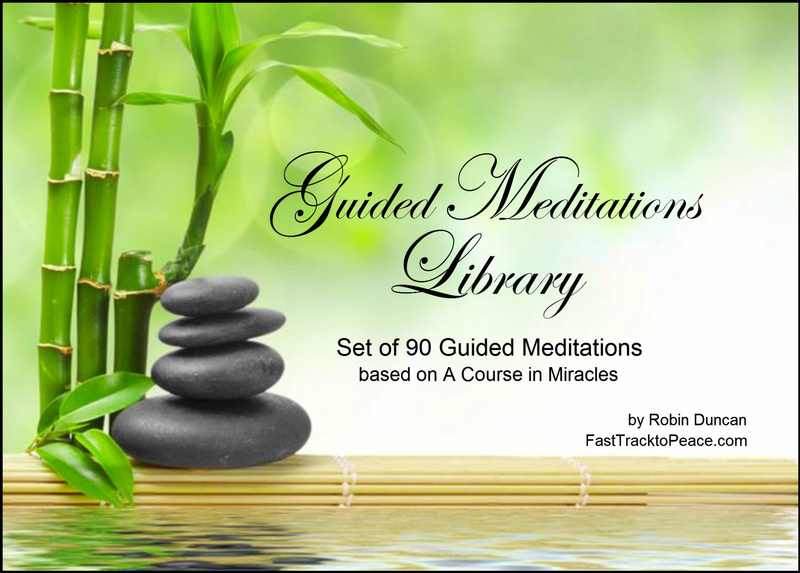 With guided meditation, you don’t have to ‘work’ to get into a deep state of meditation. All you have to do is listen and follow the instructions as they are given. Guided meditation requires that you use the power of your mind to visualize or imagine something that’s being described. Some people believe they cannot visualize and this discourages them from trying a guided meditation. It is important to realize that not everyone ’sees’ things when they visualize. Seeing, hearing and feeling are all valid ways of visualizing or imagining something. Every person uses each of these senses to a greater or lesser degree. The type of input that you respond to best is unique to you and is typically a combination of two or all three types of modalities: visual, auditory, and kinesthetic. Holistic Healing or “wholistic” healing addresses all parts of the individual; mind, body and spirit, not just the physical aspect of a person. Holistic healing is not intended to serve as a band-aid or a one-time fix. It is an ongoing journey of using natural and non-invasive methods and therapies, such as: prayer, meditation, massage, exercise, yoga, acupuncture, acupressure, energy healing, source techniqueTM, EFT, sound therapy, voice analysis, herbal supplements, homeopathy, chiropractic, nutrition, reiki, hydrotherapy, colonics, reflexology and many more, for the purpose of experiencing a consistent state of health, wholeness, and well-being. What is the Holy Instant? “God honored even the miscreations of His children because they had made them. But He also blessed His children with a way of thinking that could raise their perceptions so high they could reach almost back to Him. The Holy Spirit is the Mind of the Atonement. He represents a state of mind close enough to One-mindedness that transfer to it is at last possible. Perception is not knowledge, but it can be transferred to knowledge, or cross over into it. It might even be more helpful here to use the literal meaning of transferred or ‘carried over,’ since the last step is taken by God.” ACIM Ch.5.I.6. Hypnosis is a state of heightened suggestibility and physical relaxation, accompanied and induced by mental concentration. The state of hypnosis can generally be achieved by anyone of normal intelligence and mental awareness over the age of 4 years old. Hypnosis is usually induced by a procedure known as a hypnotic induction, which is commonly composed of a series of preliminary instructions and suggestions. Hypnotic suggestions may be delivered by a qualified hypnotist in the presence of the subject, or may be self-administered through self-hypnosis or auto-suggestion. Contrary to popular misconception that hypnosis is a form of unconsciousness resembling sleep, contemporary research suggests that hypnotic subjects are fully awake and are focusing attention with a corresponding decrease in the peripheral awareness. Subjects also show an increased responsiveness to positive suggestions. In addition, psychiatric nurses in most medical facilities are allowed to administer hypnosis to patients in order to relieve symptoms such as anxiety, negative or uncontrollable behaviors and improve self-esteem and confidence. The words hypnosis and hypnotism were both derived from the term neuro-hypnotism coined by a Scottish surgeon James Braid around 1841. Hypnotherapy is the process of using hypnosis for the purpose of healing and transformation. Hypnotherapy is accomplished by inducing a subject into hypnosis or a state of trance, with their permission, to anchor and reinforce positive feelings and behaviors, such as confidence, self-esteem, personal-power, focus, clarity, drive, passion and other positive factors. Additionally, hypnotherapy can be used to access memories from the past for the purpose of emotionally moving beyond the negative aspects of the experience. Hypnotherapy can also be used to accelerate weight loss, habit cessation and enhance business and sports performance. Hypnotherapy is often applied to help modify a person’s attitudes and feelings, as well as addressing a wide range of conditions including dysfunctional habits, anxiety, food cravings, substance abuse, stress-related illness, pain management, insomnia, anger management, personal development, and much more. What is a Hypnosis or Guided Imagery Script? A hypnosis or guided imagery script is a customized collection of suggestions through the use of positive statements, affirmations and other reinforcing words used during the state of hypnosis. The script of suggestive language serves to “plant seeds” in the subconscious mind (following the induction when the mind is more receptive to suggestion) that help you reach higher levels of happiness, health, abundance, well-being and/or create their desired outcome. The hypnosis script may also be used to anchor in a new form of thought, response or behavior, take the client backward or forward in time to release trauma or other negative images, reach higher states of consciousness and also to reach deeper states of meditation. The Miracle Center of California offers professional training and certification classes in Hypnosis and Guided Imagery where you can learn how to conduct a successful hypnosis session, perform age and/or past life regression and write a customized script for healing and transformation. Life Coaching is practice that helps people identify and achieve personal goals. Life coaches help you set and reach goals using a variety of customized tools and techniques, such as: Psychology, Hypnotherapy, Mentoring, EFT with the Source TechniqueTM, Career Counseling, NLP and other types of counseling. The coaching process addresses specific personal goals, business endeavors, transitions, relationships or professional objectives by examining what is going on right now, discovering what your obstacles or challenges are and choosing a course of action to align your life with how you want it to be. The Miracle Center of California offers global training and certification in Life Coaching with emphasis in: Prosperity and Personal Power, Relationships (Professional, Personal & Intimate), Weight Loss, Health and Wellness, and Life Path and Spiritual Development. Meditation is a practice in which an individual trains and quiets the mind and/or induces a mode of consciousness to realize some benefit; although it can be said that mediation is a goal, in and of itself. The term meditation refers to a broad variety of practices and may be used for relaxation, stress relief, contemplation, getting closer to God, reflection, listening to Higher Consciousness, an act of devotion, connecting with spiritual guidance, building internal energy (chi, ki, prana, etc. ), seeing past lives, taking astral journeys, entering a deep state of trance, and so forth, to more technical exercises targeted at developing compassion, love, patience, generosity, forgiveness and more far reaching goals, such as effortless sustained concentration. Meditations can be done self-guided, or they can be guided by another person. Just as sports exercise the body’s muscles, meditation techniques exercise and relax the mind. Meditation trains the mind to concentrate and be mindful of the present. To build concentration during each session, you focus on your breath, or on an object, sound, word, movement, statement, or mantra. This level of focus can be more difficult than it sounds. Each time you lose focus, however, you learn another key meditation concept—forgiveness of the past and mindfulness of the present. Instead of getting frustrated or worrying that you may lose focus again, you learn to refocus on the present meditative practice. The more you practice meditation techniques, the more naturally you’ll apply this type of concentration to your everyday life. You may develop a “beginner’s mind”— a mind that lives in the present moment. If you’re new to meditation techniques, try starting out with basic methods, such as concentrating on your breath. You can practice many of these meditation techniques individually, or through group or guided meditation wherever and whenever you need to calm your mind. Muscle testing is based on the concept of internal energy fundamental to traditional Chinese medicine. Muscle testing is a noninvasive way of evaluating the body’s imbalances and assessing its needs. It involves testing the body’s responses when applying slight pressure to a large muscle to provide information on energy blockages and the proper functioning of the organs, nutritional deficiencies, food sensitivities and subconscious beliefs among other things. It can also be used to test the body’s responses to herbs, suggestions, new ideas and other remedies. In a typical example of muscle testing, you are asked to hold an item, such as and an herb or supplement, to determine if you are compatible with that item. You extend your arm out in front of you or off to the side and you are asked to keep it straight. The practitioner gently presses down on your arm and the opposite shoulder with equal pressure (to facilitate balance). If the herb or supplement is something needed and/or compatible with your system, you’ll be able to resist the downward pressure and hold your arm rigid. If not, you will feel less resistance and a weaker sensation in your arm as it is depressed. The same procedure can be used to determine how often you should take each herb and how much each time. It can also be used to test the body’s responses to foods (for allergies), thoughts, hidden beliefs, sounds, colors, emotions and more. I want the peace of God. “To say these words is nothing. But to mean these words is everything. If you could but mean them for just an instant, there would be no further sorrow possible for you in any form; in any place or time. Heaven would be completely given back to full awareness, memory of God entirely restored, the resurrection of all creation fully recognized. “Prayer is the greatest gift with which God blessed His Son at his creation. It was then what it is to become; the single voice Creator and creation share; the song the Song sings to the Father, Who returns the thanks it offers Him unto the Son. To you who are in time a little while, prayer takes the form that best will suit your need. You have but one. What God created one must recognize its oneness, and rejoice that what illusions seemed to separate is one forever in the Mind of God. Prayer now must be the means by which God’s Son leaves separate goals and separate interests by, and turns in holy gladness to the truth of union in his Father and himself. Prayer will sustain you now, and bless you as you lift your heart to Him in rising song that reaches higher and then higher still, until both high and low have disappeared. Faith in your goal will grow and hold you up as you ascend the shining stairway to the lawns of Heaven and the gate of peace. For this is prayer, and here salvation is. This is the way. It is God’s gift to you. Prayer is a way offered by the Holy Spirit to reach God. It is not merely a question or an entreaty. It cannot succeed until you realize that is asks for nothing. True prayer must avoid the pitfall of asking to entreat. Ask, rather, to receive what is already given; to accept what is already there. Regression is a hypnosis technique utilized by hypnotherapists to help patients remember the perceptions and feelings caused by past events that have an effect on their present state or condition. Hypnotic age regression occurs when a person is hypnotized and is instructed to recall a past event or “regress” to an earlier age. The client or patient may then proceed to recall or re-live events in his or her life. If the hypnotherapist suggests to the patient that they are a certain age, the patient may begin to talk, act and think according to that age while in hypnosis. This allows the client or patient to more easily release from painful, stressful or traumatic memories from the past and respond to their current situation more positively with new information and insight. A seasoned hypnotherapist can regress a patient as far back as is needed in order to facilitate release from any negative memories and/or past influences. Reiki (pronounced ray-key) means “Universal Life Energy” in Japanese. Reiki Practitioners are trained to detect and alleviate problems of energy flow on the physical, emotional, and spiritual level. Reiki touch therapy is used in much the same way to achieve similar effects that traditional massage therapy is used, to relieve stress and pain, and to improve the symptoms of various health conditions. During a Reiki session, the Reiki Practitioner places their hands above the recipient and the recipient draws the energy, as needed. The recipient plays an active role in the process. Reiki is believed to have begun in Tibet several thousand years ago. one’s income for the support of the clergy or church. The institution or obligation of paying tithes. A tax or assessment of one tenth. Personal income set apart as an offering to God. Tithing is an Old Testament concept. The tithe was a requirement of the Law in which the Israelites were to give 10 percent of the crops they grew and the livestock they raised to the tabernacle or temple (Leviticus 27:30; Numbers 18:26; Deuteronomy 14:24; 2 Chronicles 31:5). In fact, the Old Testament Law required multiple tithes—one for the Levites, one for the use of the temple and the feasts, and one for the poor of the land—which would have pushed the total to around 23.3 percent. Some understand the Old Testament tithe as a method of taxation to provide for the needs of the priests and Levites in the sacrificial system. The New Testament nowhere commands, or even recommends, that Christians submit to a legalistic tithe system. The New Testament nowhere designates a percentage of income a person should set aside, but only says gifts should be “in keeping with income” (1 Corinthians 16:2). Some in the Christian church have taken the 10 percent figure from the Old Testament tithe and applied it as a “recommended minimum” for Christians in their giving. The New Testament talks about the importance and benefits of giving. We are to give as we are able. Sometimes that means giving more than 10 percent; sometimes that may mean giving less. It all depends on the ability of the Christian and the needs of the church. Every Christian should diligently pray and seek God’s wisdom in the matter of participating in tithing and/or how much to give (James 1:5). Above all, all tithes and offerings should be given with pure motives and an attitude of worship to God and service to the body of Christ. “Each man should give what he has decided in his heart to give, not reluctantly or under compulsion, for God loves a cheerful giver” (2 Corinthians 9:7). Self-hypnosis helps you reach a heightened state of focus with a sense of calming peace, making your mind more receptive to positive suggestions. During the hypnotic state, you can repeat a positive word or statement geared toward changing a specific behavior, habit, thought or state of being. Because the mind is more receptive in this state, you will experience a deeper realization of the suggestion. Ideally, with repetitive self-hypnosis practice, the positive suggestions will remain with you, becoming deeply anchored in your mind, positively impacting your daily habits and choices. Sound Therapy is a form of vibrational therapy for treating physical and emotional challenges. In general, this therapy is based on the theory that all of life vibrates, including the human body. The human body has 7 primary energy centers on the body called “Chakras” and each energy center has a unique function or role to play; emotionally, physically and spiritually. These energy centers are activated through sound, light and color, yet most significantly through the vibration of your speaking voice and also through the speaking voice of others. With the assistance of a Certified Sound Therapy and Voice Analysis Practitioner from The Miracle Center of California, your voice can be analyzed to determine which of the 12 tones you are using within your speaking voice and which ones you are not. You might imagine that the human body is like a 12-string guitar in terms of frequency and with your speaking voice, you may be activating or using only 7 or 8 of the 12 available strings. The remaining strings can be easily activated by listening or sleeping to a Sound Therapy CD on low volume for a consistent period. Once your under-active and/or over-active frequencies are identified, Sound Therapy is used to restore the frequencies to a more balanced and consistent level of vibration. When all 12 tones in the musical scale are vibrating within your energy field (with some level of consistency), most users of sound therapy report a greater feeling of balance, circulation, connectedness, confidence, focus, vitality and more. The 12 tones are: C, C#, D, D#, E, F, F#, G, G#, A, Bb & B. This noninvasive modality is safe for all age groups including children and seniors. The Miracle Center of California offers Training and Certification in Sound Therapy for Practitioners. See our website at: MiracleCenterStore.com for upcoming class dates and/or online training programs. During this session, a qualified Sound Therapy Practitioner will chart your vocal tones and identify which tones are over-active and which tones are under-active in your speaking voice. From this analysis, we are able to determine a proper Sound Therapy Music recommendation for optimal use in your home or office. Voice Charting Sessions may be accomplished by phone. What is the Sub-Conscious Mind? The sub-conscious mind is the part of the mind that acts like a data-base or reservoir of thoughts, feelings and experiences from the past. Everything you think or experience is captured in this data-base, though many times, the information is not readily remembered. Through the process of hypnosis, the source techniqueTM, guided imagery, regression and/or meditation, you can quiet the conscious mind and access this information from the sub-conscious mind, in order to neutralize the negative emotional charges from the past. This is especially helpful when the individual is acting or behaving in a defense mode due to a past trauma or event. If you have been through a challenging experience that caused distress in the past, this memory is stored in the subconscious mind and you are likely to spend your life trying to keep it from happening again until it is neutralized. This defense mechanism can easily block you from moving forward in life and can also become a detriment to your health and well-being. Let’s say you were attacked when you were 15 years old. You survived the event but now, without realizing it, you live your life worrying about when or if it will happen again. This becomes a problem over time because you will spend less time fully living your life and more time worrying about what will happen. With techniques such as Hypnosis and EFT with the Source TechniqueTM, you can rapidly identify the hidden causal events and then quickly neutralize them, such that they are no longer a problem. Voice Analysis is a process where your speaking voice is analyzed with a tuning device to determine which “tones” you are broadcasting with your speaking voice and which ones you are not. There are 12 tones in the musical scale and as you use your normal speaking voice, you are broadcasting a variety of these tones with your speaking voice. The tones are: C, C#, D, D#, E, F, F#, G, G#, A, Bb & B. Every time you use any one of these tones with your speaking voice, you are creating a vibrational activation to occur within your physical body. Each one of the 12 tones has a job to do, emotionally, physically and spiritually. Generally, we find that each person has certain tones that are under-active within their speaking voice and other tones that are over-active. This is quite normal due to our day-to-day experience of slower vibrating frequencies such as: stress, anxiety, sadness, anger and other negative emotions. If you experience negative emotions over a prolonged period of time (without processing them) then they sit in your body’s energetic field and form density. This results in slowing down the energetic frequencies of the Chakras, making it harder for these energy centers to process feelings and emotions as they occur. If you ever notice yourself becoming overly upset from something minor, this is a likely result of a chakra imbalance. Once the frequencies you are broadcasting through your speaking voice are identified (or NOT broadcasting, as the case may be), you can then use Sound Therapy (i.e., sound toning to either release blocked energy or restore inactive frequencies) to clear and balance the body’s energy field. Voice charts are as unique as fingerprints. There is no one perfect chart. At different times in our lives, we focus on different areas (i.e., career, relationship, spiritual growth, health, fitness, etc.) Our voice is a blueprint of our soul and will reflect that focus. When one of the 12 tones is completely missing from your voice chart or is very overactive, you will experience effects from this on many levels. While we cannot expect to be perfectly balanced (tonally) at all times, we can come closer to a balanced state of being, allowing our body’s energy centers or chakras to function more efficiently. This balanced state of being, when experienced, is noticeable, resulting in greater feelings of groundedness, personal power, creativity, gross circulation, calmness, prosperity, libido, energy, love, ease in communication, intuition and/or spiritual connectedness (depending on the area of activation). The Miracle Center of California offers Training and Certification in Sound Therapy for Practitioners. What is the difference between Guided Imagery and Hypnosis? People often use the terms “guided imagery” and “hypnosis” interchangeably. These techniques engage the mind’s capacity to calm, focus, concentrate, and control our body functions, thoughts and actions. These concepts are similar; however, they do not have the same meaning. Guided imagery is a form of creative visualization, where a person is guided into a light state of trance to promote relaxation, stimulate creativity through the use of imagination, release stress and/or visualize a future event to enhance performance and success. Hypnosis is a heightened state of suggestibility induced by a deeper state of trance through a hypnotic induction and deepening techniques. During this deeper state of trance, the subject can access long-forgotten memories from the past as a means for releasing trauma, identifying the “root cause” of a current pattern or discomfort, building confidence or self-esteem and/or helping the subject to reach a new and more desirable response, feeling or behavior. The Miracle Center of California offers professional training and certification in Hypnosis, Advanced Hypnosis, Guided Imagery, Hypnotherapy, Life Coaching, Sound Therapy, and EFT with the Source TechniqueTM with CEUs.